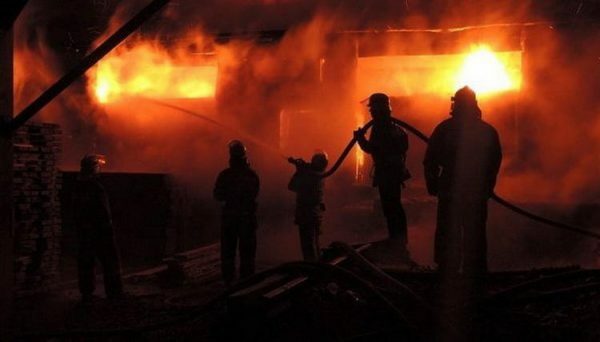 Zeleniy Yar, Ukraine, February 11, 2019 – The Church of the Martyr Elijah in the village of Zeleniy Yar in the Nikoalev Province in southern Ukraine was set on fire in the night of Saturday to Sunday by unknown vandals. It was a miracle that the fire did not consume the entire church but was extinguished, reports the Union of Orthodox Journalists. The arsonists first turned off the electricity to the church so that the alarm system and cameras would not work; they then broke a window and threw in a Molotov cocktail. The windows, a curtain, and two carpet runners were burnt and damaged, the walls were covered with soot, and the icons turned black from burning. The attackers also tried to uproot a wooden cross standing at the entrance to the church, but they were unable. Firefighters and police arrived on the scene and confirmed that it was arson, according to local residents.